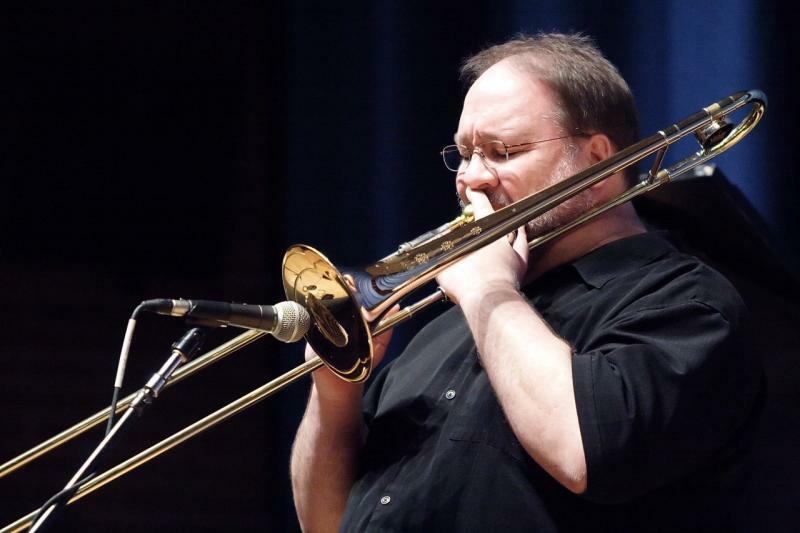 Originally from Indianola, Iowa, Paul McKee is currently Associate Professor of Jazz Trombone and Arranging/Composition at the University of Colorado at Boulder. Paul received a BME from the University of Northern Iowa (1980) and an MM in Composition form the University of Texas at Austin (1985). In 1984 Paul joined Woody Herman’s Thundering Herd and (in addition to touring the United States and Europe) has performed on several Grammy-nominated recordings. Paul has also served on the jazz faculty at schools including DePaul University, Youngstown State University, Northern Illinois University, the University of Missouri at Kansas City and Florida State University. Paul maintains an active schedule as a performer, composer and clinician, and his arrangements and compositions have been performed and recorded by professional and academic jazz ensembles worldwide. His first recording, Gallery, was released to critical acclaim and features performances by Carl Fontana, Bobby Shew, Tim Ries and Ron Stout. Paul also appeared on Back When It Was Fun with 7 on 7, a group comprised of musician/educators from colleges across the nation. A new recording by the group is currently in production. Additional recordings include performances on big band projects by Dan Gailey (University of Kansas), Steve Owen (University of Oregon), David Caffey (University of Northern Colorado), Jeffrey Benedict (Cal State LA), Robert Washut (University of Northern Iowa) and Ben Markley (University of Wyoming). Paul recently performed with the Ben Markley big band at Dizzy’s Club Coca Cola in Lincoln Center in New York City. Paul is a clinician for XO Professional Brass and plays the XO trombone exclusively.